Aged exclusively in first-fill Bourbon barrels. 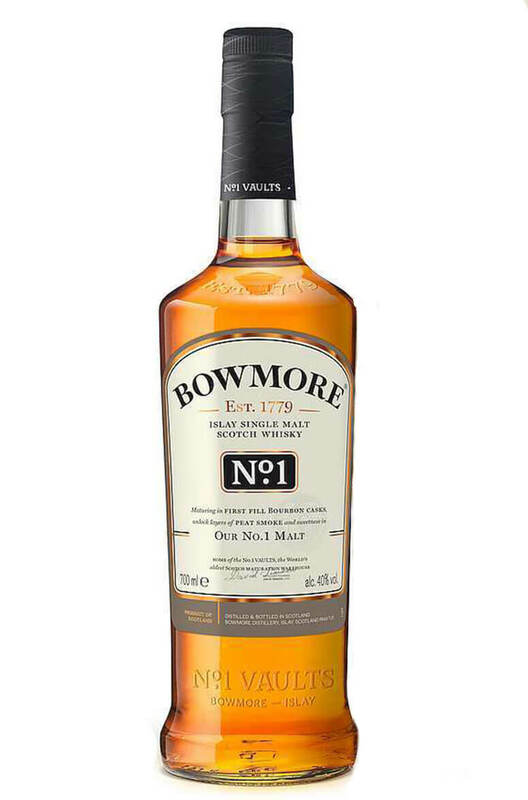 This is a pure and direct expression of Bowmore with creamy fruitiness and touches of smooth vanilla as well as the trademark Islay smokiness. Aromas (without water) Vanilla sweetness, cinnamon spice and oak smoke. Flavour Mouth-watering citrus, honeycomb and coconut flakes. The peat smoked, bourbon vanilla and lime finish.